Thanks for that Arco....Balmuildy Rd bridge! is that the one at the Sports Centre in Bishopbriggs.I had no idea Mavis Valley was there.Did they demolish the village after the pit accident? 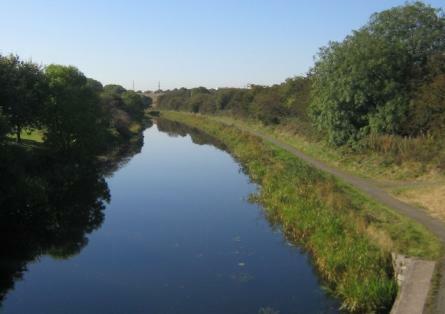 Here's a recent picture of the entrance to Mavis Valley from the Forth and Clyde canal. I believe its at the right side of the picture where you cna see a pathway. Friends of mine in Scotland revisited the area when a sister was visiting from Canada. Our family in the adjacent area know n as Woodside Terrace better known to the locals as the Big Pit as it was neaer the actual mine. 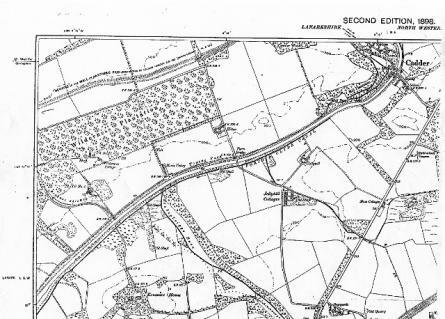 Here are maps of the area,look at the difference in buildup from 1898 until 1933. My family moved to the area in 1933 , My grandfather brought his family to the area in 1921 the same year the row of houses were built in Jellyhill where he lived. The Cadder mine was defunct by then and I believe he and my fahter and his brother worked at the "Wee Mine" in Torrance. Here's the same area in 1933. Mavis Valley and Woodside Terrace are encicrled. Interesting reading this. I've recently moved into one of the cottages at High Row off Cadder Rd and have been trying to figure out what they were used for. 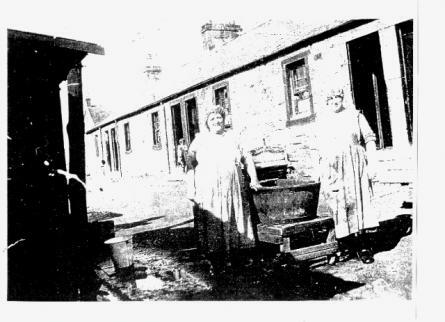 As there have been buildings on the site since the late 1800's I figured they would be canal workers cottages, and associated with the Cadder Smiddy. I also thought they may have had some renovation work done by the owners of the primary school, as their appearance is of a similar style to the schoolhouse. thinking about the style of the cottages compared with those at Mavis Valley with the washhouse and privy's out back they are very similar (though or course if the developer gets his way the washhouse will disappear). Do you think they were connected and used as miners cottages, or just built by the same company? The bridge on the canal near Mavis Valley was known as Brash's brigg in the 30' and 40's. The brig man lived at the cottage and had a wee sweetie shop where the local weans bought their treats before catching the bus to school. The one I was thinking about was the bottom of Balmuildy Rd. near the now Sport centre. 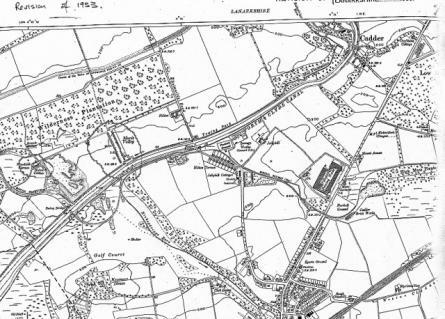 Did you know that a plaque was found on a farm on Balmuildy Rd in the 1800s It was a commerative plaque left by the Romans when they had a fortlet along the Antonine wall which roughly followed the Forth and Clyde canal. Hi. Thanks for your contributions to the Mavis Valley topic which I've only recently seen.  Does anyone know of a good archive source (images/ maps etc) for more details?. I've only recently discovered that my grandparents lived there in different house numbers before they were married in 1909. It would be terrific to see images of their respective homes. What a hard life they must have had!! The first place I would try is the Bishopbriggs library in the old school on Kirkintilloch Rd.Some where I have architectural drawings of the Mavis Valley houses. I will make copies and post them to you when Im find them but give me some time.